Language – Stateside, I’d always prided myself on my ability to communicate well and to understand others. Upon learning I was joining the Peace Corps, I heard lots of stories and warnings from people who, while traveling abroad, had inadvertently agreed to something they didn’t realize or mean to because they didn’t want to admit to the speaker that they didn’t understand. I always thought that was ridiculous and vowed I would never fall victim to that. Promise broken. More times than I can count. Here, I think I’ve agreed to a whole lot of which I have no idea. Sometimes I think I understand and, turns out, I don’t. Other times, I ask the person to repeat the question and, after the 3rd or 4th time and I still don’t understand, I just pretend I do to put us both out of our misery. Sometimes I fake it well, sometimes they see right through my wall of pride with a “Nontendei” (she doesn’t understand). TMI (too much information) – What’s that? No such thing among volunteers. For someone who used to be very private, I’ve come a long way in the ‘sharing’ department. Whether by blog, phone, text or in person if you’re surprised to suddenly learn the status of my GI tract or the diaper rash I have from sitting in sweaty clothes on the bus for 6 hours in 104 degrees, you don’t know me very well. And don’t look so shocked when I ask about yours either. Food – eating the same wonderful thing for breakfast nearly every day. Usually I like to mix it up and have a broad variety. Mandio chyryry rocks! *Pommelos – Never could stomach a grapefruit in the states but here I can’t get enough of them during citrus season – so sweet! *Head cheese – actually pretty good if you ignore all the fat and cartilage that’s included. *Blood sausage – Tried it but actually won’t eat that one. *Cow stomach – also known as mondongo. Nope. Nope. *Handmade pork sausage – Yup, that was a trip but chorizo casero rules. I even helped make it. Hygiene – Consolidating trips to the toilet and rewearing clothes for a week in winter because 1) it’s impossible to dry laundry in winter and 2) it’s too cold to expose skin, changing clothes three times a day in the summer, not bathing for days in winter or showering three times a day in summer, foregoing a mirror, making a pointed effort to wash feet everyday because they get DIRTY!, collecting my own urine as a nitrogen source for the garden, comparing bathing notes with friends and actually congratulating them on days they bathed, high-fiving friends for a successful bowel movement after days of constipation, talking among friends about said movements in the airport cafe as casually as if it was the weather. Bathing and BM convos could sometimes be the highlight of a friend’s day. A real accomplishment. I’m serious. Loneliness – I don’t get lonely in the states but I get lonely here. And then I talk … a lot. And it might be to ask about your latest BM. Sounds – I can differentiate between pig squeals meaning 1) being hungry, 2) fighting over food with a pen-mate, 3) fighting in general, 4) getting one’s nose pierced to prevent rooting, 5) being surprised/scared by an animal bigger than it (curious cow), 6) being killed for dinner. Unannounced Visits – No need to call ahead. Here you just show up at the gate! Someone is always home and guaranteed to welcome you. They love visitors and I love this custom and local hospitality. Handwashing clothes – I always hated this in the states but here, though it takes a little planning to coordinate weather patterns and laundry schedules, I find it very relaxing and meditative. And it tones the arms nicely. Transportation – Not allowed to ride motorcycles (the main form of transportation here in the campo) or drive cars, we rely on the bus to get everywhere. While my bus line is less than ideal, I’ve learned to enjoy the time for reading or napping instead of having to drive! We do not have public buses in my hometown USA. Snakes, spiders, and insects in general – No. Big. Deal anymore (says she who keeps her mosquito net tucked in tightly 24/7!) Wendy the Viper Slayer prevails. Smush bugs barehanded? Yup. Unknowingly step on spiders barefoot and find wiggly legs still moving later? Weekly, sometimes daily. Manners and Custom Confusion– I didn’t mean to slip on this one but when in Rome…. Apologies in advance to family and friends if I bring home a few of the following without realizing it (please call me on it if you catch me! ): Burping out loud. Wiping hands on the tablecloth or common towel in the center of the table. Borrowing your cup at the table, maybe silverware too. Offering you a bite of my food without getting that look of “But it has your germs on it!” Eating meat with fingers. Saying “You!” to get someone’s attention. Asking very personal questions like your age, weight, how much you paid for something. Staring at something I find interesting. Showing up at your house uninvited and unannounced (see above) and expecting you to stop what you’re doing and visit with me. Texting friends at 1am because they can’t sleep either. Reading novel after novel because I’ve had the time to rediscover my love for reading; winter nights are long, dark, and cold; and summer heat requires a siesta, perfect for reading in the hammock. Burn trash – Don’t hate. I used to be a serial recycler/composter/let’s be light on the earth do-gooder. The lack of trash management here offers 2.5 options: burning, burying or disposal by wind (for plastic bags). I compost what I can, burn my paper and sneak the plastics to the pueblo for incineration. Composting is the only thing I can feel good about. Swear – I’m not usually a fan of the Swear Words but after catching neighbors’ cows eat my freshly washed laundry right off my porch because they were thirsty, yeah, I let a few expletives fly. Or the day the piglets uprooted the garden because someone didn’t close the gate well. That too. Lie – That’s right. This is so not me and I use it sparingly here, but it developed as a survival mechanism when Paraguayan men would ask if I’m single. For a long time, my answer was the honest ‘yes’ which always lead to follow up questions and the occasional marriage proposal. Eventually I smartened up and began making up fantastic stories of non-existent husbands with names, lives and careers of whatever popped into my head first. Sometimes these spouses were American, sometimes Paraguayan. I began to relish the thrill of creating a story on the fly and adding new details based solely on the way my counterparts were responding to my answers. This became exquisite fun and reduced the awkwardness and probability of those ‘singledom’ questions and curious probing. 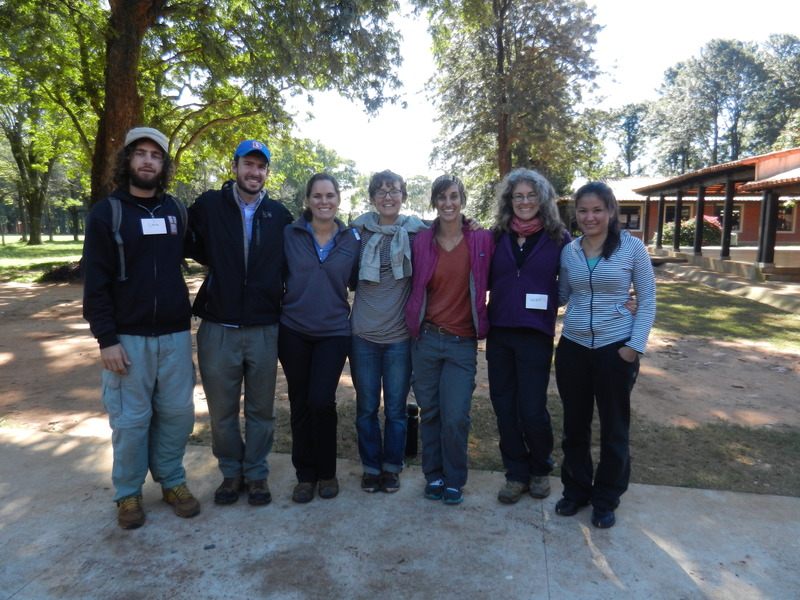 Bee stings – Pre-Paraguay Wendy sought to avoid a bee sting at all costs. Now on beekeeping days, if I get stung only 5 times I consider it a good day. They don’t call these killer bees for nothing! My last honey harvest earned me 40 stings at a whack and I didn’t bat an eye. I couldn’t walk for two days and my neighbors were horrified but with my new perspective, 40 stings were well worth the best honey I’ve ever had. I love my work with biodigesters. It’s fascinating stuff and for those of you non-sciency types who don’t like to read technical talk about poo I tried to keep it interesting so you’d enjoy too. Keep reading. It’ll be worth it, I promise. The trip to the volunteer’s community was about 11 hours by bus, including waiting in the bus terminals and alongside the road for my next rides (and missing a stop – oops). By the first bus station I was STARVING so during my ‘layover’ I went to the nearby supermarket for lunch and discovered to my delight that they had a hot buffet of prepared food. Whoa – I could hardly contain my excitement! Almost like a restaurant! After much deliberation, I’d just decided what I wanted and was about to get the señora’s attention and then I noticed it: a cockroach exploring the case and the edges of the food. My hopes sank and my excitement evaporated. I was bummed but not completely grossed out. This is PY and hygiene, sanitation and other expectations are, well, different than the US. It’s not drama, it’s just a fact. I walked away and started cruising the aisles the way teens troll the strip at Old Orchard Beach. I digress. After another tour of the store and my need for protein and carbs outweighing the underwhelming fruit and veggie options, I went back to the case. Yes, I did. Afterall, I reasoned, the insect was barely longer than my thumbnail and it was just one (that I saw) and I’ve probably eaten elsewhere with similar or worse conditions without knowing it and that roast loin with ham and melted cheese looked so deliciously inviting and I was SO hungry for something other than bus-station-empanadas. I bought my original choices and tried to push that scurrying visual out of my brain forever. My innerds remained cooperative and unaffected and I continued my journey to my friend’s community. By the time I arrived it was nearly 9pm. Two other volunteers had traveled to help as well and we sat down to prep for our morning workshop. 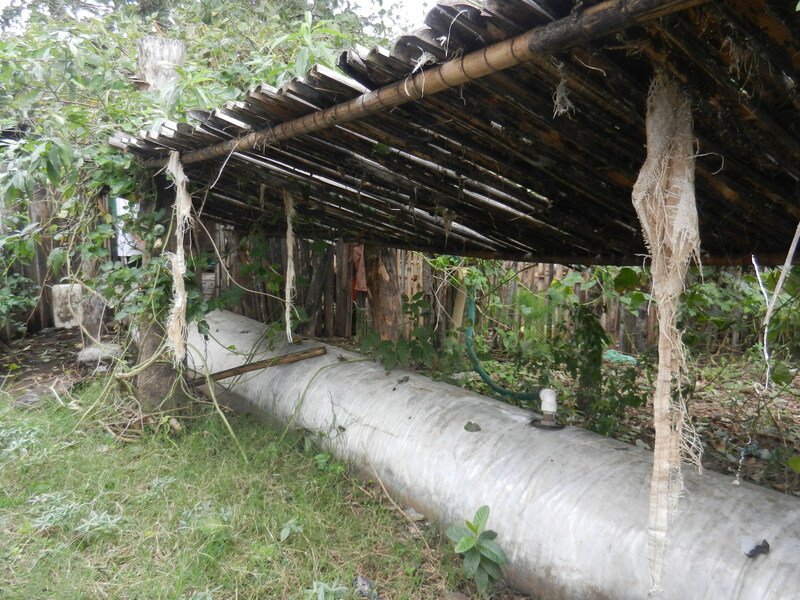 When our travel-weary bodies called it a day, our host gave us a tour of her humble abode complete with instructions on how to use her cool, new homemade composting squat toilet (her version of an aerobic biodigester and she did a great job building it too!). This was a first for me. The composting and the squat. 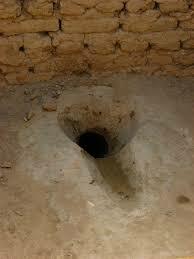 How I made it a year and a half in this country without an encounter with the squat toilet is beyond comprehension. I’ve been terribly sheltered it seems. The fact that the toilet was on a raised platform to allow easy management of the compost underneath combined with the outdoor spotlight that happened to shine down directly and brightly onto the squatting hole made me feel like a Rock Star Appearing On Stage every time I had business to do and stepped up onto that platform. The Leo in me saw the proximity of the neighbors’ homes and desperately wanted to do a princess wave during my inaugural visit to the throne, despite it being 10:30pm. Perhaps only Leos would understand and appreciate such an opportunity, I don’t know. Despite my Leonine leanings, I’m not especially proud of the fact that I LIKE being the center of attention and “being in the spotlight”, and this was one time I would prefer to do without either. When stepping onto the platform and standing upright, the tarp surrounding the structure came to my hips. Barely. Pun intended. I’m sure I half-mooned the neighbors on multiple occasions before getting down to business. Grateful to be no taller, I found myself hoping for a power outage when nature called after dark throughout this visit. At daybreak we headed to a local agriculture-themed high school of which there are many in PY. The day started with four of us teaching a workshop to 50 high school seniors about all aspects of the biodigester followed by hands-on application with the kids doing what they’d just learned. The kids were motivated and eager to see it come together, though we always have to convince new users that the gas does not make the cooked food smell like manure and the biodigesters themselves do not smell despite the hundreds of gallons of soupy manure inside because it is an enclosed, oxygen-free system. By 5pm we had started filling the plastic tube with water and were mostly done. All that was left was for the volunteer and kids to begin ‘charging’ it by adding manure the following day. They will add manure for the next three weeks before enough methane gas is produced for burning. This system was installed next to the pig barn for ease of collecting manure and putting into the system (as opposed to hauling buckets of manure across campus) and the fuel will be used to cook pig food. Pigs will provide fertilizer which produces gas and liquid compost. 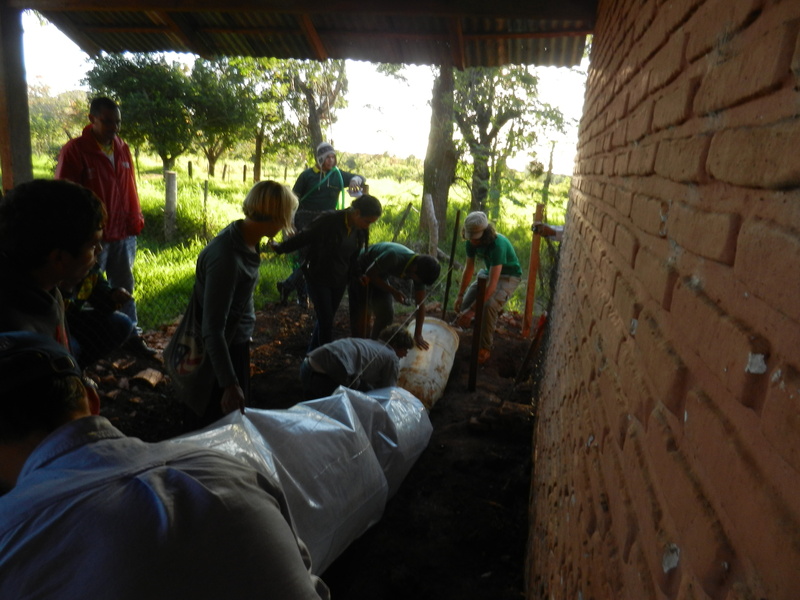 Compost will grow crops to feed the pigs and people. Gas will help cook the pig food (and in most cases, people food), which will result in more fertilizer for the biodidgester and meat for people. And a nice, closed-loop cycle continues! A completed biodigester after 2 years in use. The spout on top of the bag is where the gas exits into a hose that runs to the cooking area. It was wonderful to participate in this installation, spend time with other volunteers, sharpen my technical and language skills, and see youth learning valuable new information and skills for their futures. And I can check “visit to a composting squat toilet” off my bucket list.